Baby boomers are those who were born between 1946 and 1964. Today, baby boomers are 52 to 70 years old. When people in that age group get divorced they face unique issues. 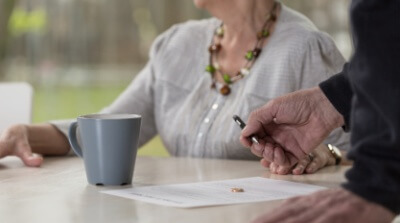 If they are leaving long term marriages and also approaching retirement, a common problem they will be faced with is whether one spouse should receive spousal support and for how long. Many people who divorce at that age have been married for decades with one spouse typically earning much more than the other. In those situations, an award of long-term spousal support may be justified, but not practical given the main wage earner’s likely impending retirement or potential health problems that may affect his or her ability to earn an income. Divorcing baby boomers’ biggest problem is often trying to figure out how to bridge the gap, financially, between the divorce and when social security, pension, or other retirement investments will start paying out. Another issue often unique to baby boomer divorce cases is how to provide medical insurance coverage for both parties after divorce. In particular, there is often an issue with how to pay for medical insurance coverage from the time of the divorce until, and possibly through, reaching Medicare age (65). It is not an issue of obtaining coverage, but rather who will pay for that coverage, which can be quite significant. To handle this problem, some divorcing couples in Michigan elect to stay married but enter into the equivalent of a legal separation, which is a Judgment of Separate Maintenance. This proceeding is identical to a divorce in many respects, but the couple remains married at the end of the proceeding. All of the couple’s property and debts are separated and spousal support can be awarded, just like in a divorce case. The main purpose for entering into a Judgment of Separate Maintenance is to allow a spouse to remain insured under the other spouse’s medical insurance policy at a lesser rate than the person would pay if she had to obtain her own individual policy or COBRA coverage. However, not all insurance providers will allow this. Work with the Family Law Team at Barberi Law to help you secure your financial future after divorce.